A smooth and luxurious experience — that's what your customers can expect when they receive their custom silk bookmarks. Silk suggests elegance and extravagance. And when people feel silk in their hands, they can't help but feel a surge of excitement. Silk bookmark printing is the epitome of magnificent book lover accessories. Who Would Benefit From Silk Bookmarks? Wise entrepreneurs need no introduction to silk bookmarks. There's a growing desire for people to go back to reading printed books and marketers are starting to take notice. 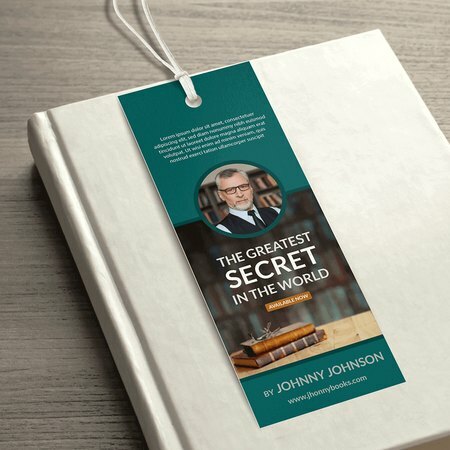 Publishers – Bookmark printing is a staple in their industry as it is one of the most desirable giveaways for book launches and author signings. Schools – Teachers and administration personnel value custom bookmarks as teaching tools. Libraries – Silk bookmarks are also used by libraries to promote their events and raise awareness of their services. Businesses – Bookmarks also make amazing giveaways during conventions, trade shows, seminars, and other corporate events. Our silk bookmarks are printed on 16 pt. cardstock and are built to last. Bookworms hate flimsy bookmarks that tear up faster than they could go through a single chapter. That's why our silk bookmarks are both water and tear-resistant. The addition of spot UV brings life to any bookmark design. It's a special kind of coating that's applied to a specific part of your artwork such as company logos and important text. Any area that's treated with spot UV will shine brighter, bringing focus to areas you want to stand out. You have the option of adding a hole for strings or ribbons (strings and ribbons not included). Try silk bookmark printing today. We promise you that you won't be disappointed. Note: Silk bookmarks are writeable with a permanent marker (leave to dry for a few seconds).